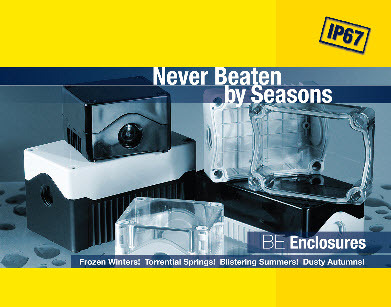 Enclosures | UK Electrical Distributors – E. Preston (Electrical) Ltd.
Hylec-APL’s IP65 door enclosures are designed to simplify installation and guarantee years of trouble free operation. Unlike many competitor products on the market which charge extra for accessories, the Hylec-APL range is supplied with a galvanised steel back plate, external mounting brackets and a lock and key as standard. The Hylec-APL range of thick walled, ABS door enclosures offers end-users a rugged IP65 electrical/electronic equipment housing solution for outdoor applications, including marine environments. The enclosures are constructed from a flame retardant material and include a galvanised steel back plate. External brackets are included for quick mounting to walls and surfaces without compromising the enclosures ingress protection levels. Hylec-APL offers a range of pre-installed control stations which combine tough IP67 enclosures with hard wearing push button and selector switches; helping installers to reduce time spent on-site. Installation is further aided thanks to unique, snap-on brackets for easy wall, chassis and DIN mounting. * Features a unique snap-on bracket for wall or DIN mounting. * Patented range of control stations available exclusively from Hylec-APL. * Up to IP67 protection depending on product. * 5mm wall thickness provides enough strength to replace many metal enclosures. * Available with a huge range of buttons and switches; many variations available pre-assembled. * Delivered with two M20 threaded cable gland entries. 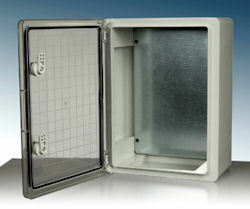 Hylec-APL has launched a new series of lockable door enclosures to complement its growing range of electrical housings. Manufactured by Hylec-APL company, DE Controls, these lockable enclosures are constructed from a flame proof material with galvanised steel back plates and mounting brackets. * 3 – 3.5mm wall thickness provides rugged protection. * Available in sizes ranging from 200 x 300 x 130mm to 500 x 700 x 250mm. * Standard operating temperature range: -20˚C to 85˚C. * Available with transparent polycarbonate door where required. 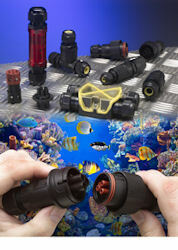 * Suitable for internal and external applications. 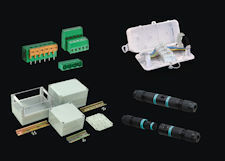 Hylec-APL, has launched a new series of patented door enclosures to complement its growing range of electrical housings and connectors. Constructed from flame proof ABS material the IP65 enclosures can be used in most internal and external applications. 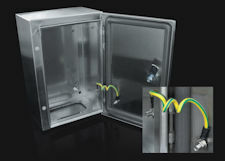 The range of SR2 enclosures is a complete offer of monobloc enclosures for constructing small and medium-sized electric automation, switching and control switchboards. The SR2 enclosures come from the experience ABB has gained over the years in building IP65 metalstructures (in accordance with the CEI EN 60529 Standard), together with the innovative new production process used for construction and patented by ABB. 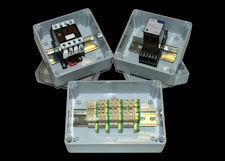 The typical use of SR2 Enclosures is to make switchgear and controlgear switchboards for a very wide variety of industrial machines: from large machinery with automated production lines or parts of these, down to the typical installations of on-board machine switchboards, boilers, heating plants and so on. SR2 enclosures conform to the EN 62208 Standard “Empty enclosures for low voltage protection switchgear and controlgear assemblies” and allow realization of electrical equipment conforming to the prescriptions of the CEI EN 60204-1 Standard “Safety of machinery. Electrical equipment of machines” and of the EN 60439-1 Standard and the new EN61439-1-2 Standard “Low voltage protection switchgear and controlgear for assemblies”. The degree of protection, in accordance with the CEI EN 60529 Standard “Degrees of protection of enclosures (IP Code)”, is IP65. 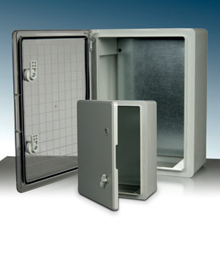 The SR2 enclosures have also passed the control required to obtain the UL (Underwriters Laboratories) and CSA (Canadian Standards Association) Type 12 marks. The SR2 enclosures also allow secondary distribution switchboards to be made, thanks to the possibility, in the 400, 600 and 800 mm widths, of installing the whole range of apparatus and modular circuit-breakers on DIN rails combined with special pre-drilled and hinged modular front panels, thereby allowing construction of AS/ANS type electrical switchgear conforming to the CEI EN 60439-1 Standard and the new EN 61439-1-2 Standard. A single line of metalwork structures therefore allows construction of automation and secondary and end distribution electrical switchboards thanks to the availability of a series of accessories (modular panels, DIN rails) and to the possibility of stacking the enclosures. * Internal galvanised sheet mounting plate with 20/10 thickness (made to allow threaded holes to be made easily), adjustable in depth by using a special accessory. * Fairlead plate screwed on (at top and bottom) made of 15/10 thick galvanised sheet, with a sealing gasket applied inside. * Complete reversibility of the enclosure, so the door can open either on the right or on the left-hand side. * Possibility of installing all the apparatus and modular circuit-breakers on a DIN rail combined with a hinged modular panel.